Human beings all have one centralized similarity, and that is the struggle with emotions. Unifying us in a beautiful way, these emotions can drive negative or positive actions. Fortunately, most artistic outlets, such as music, provide a release of the every day trials and tribulations everyone faces. 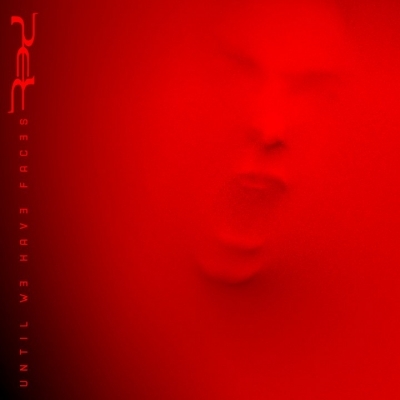 Forming in 2002 in Nashville, Tennessee, Hard Rock band Red have aspired to connect with those feelings. While continuing to grow within themselves as well as with their fans, the band has garnished one top selling record after another with each of their five studio albums, including the most recent Of Beauty and Rage. Rather than play it safe with each release, Red is an act that prefers dabbling in their creative juices. While lyrically touching upon topics most can relate to, musically the band pushes boundaries with a generous blend of heavy guitars, soaring vocals, and symphonic elements, different than their peers. Recently we sat down with the voice of Red, Michael Barnes, for an in-depth discussion about the inspiration behind their music, the band’s new album, creating an atmosphere, and much more. 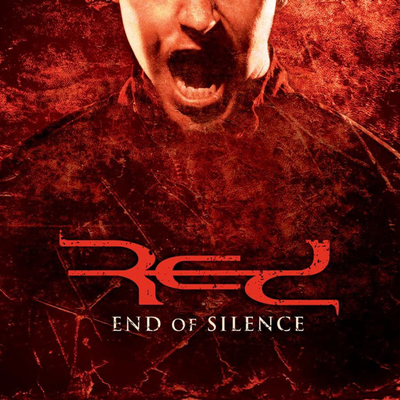 CrypticRock.com – It has been over a decade since Red came together. The band has been on an amazing ride in that time, attaining one highly charted album after another, top ranked singles, and international touring. Tell us, what has the ride been like through it all? Michael Barnes- It has been amazing, it really has. Myself, Anthony and Randy Armstrong grew up together since third grade, so we have this huge history with each other. We went to festivals together when we were kids and always had this inspiration of being on stage someday. We ventured out after college in 2002 to go down to Nashville and pursue our dreams There was a “what if” factor if we had not taken a chance at it. A couple of years later, we got signed and did three hundred shows for the first few years. It became just a whirlwind of constantly being on the road and becoming international, as you stated. We never imagined as kids that our music would reach people, let alone people across seas. We feel thankful, as well as blessed. We were just shocked and happy to be in the position we were, and are in. CrypticRock.com – It really is quite an amazing thing. You hope and you dream, but it is great to see that all your hard work pays off. Michael Barnes – For sure. We feel hard work definitely does pay off. There are a lot of great bands out there, but it is those bands that put in the effort and the hard work. We are very dedicated also to our fans and I think that is one of the aspects that has helped us with taking off. We have been really careful to be there with our fans every step of the way to let them know that we appreciate them. Thankfully they keep coming back to shows and we just keep building a fanbase. If it was not for them, we would not have a job. 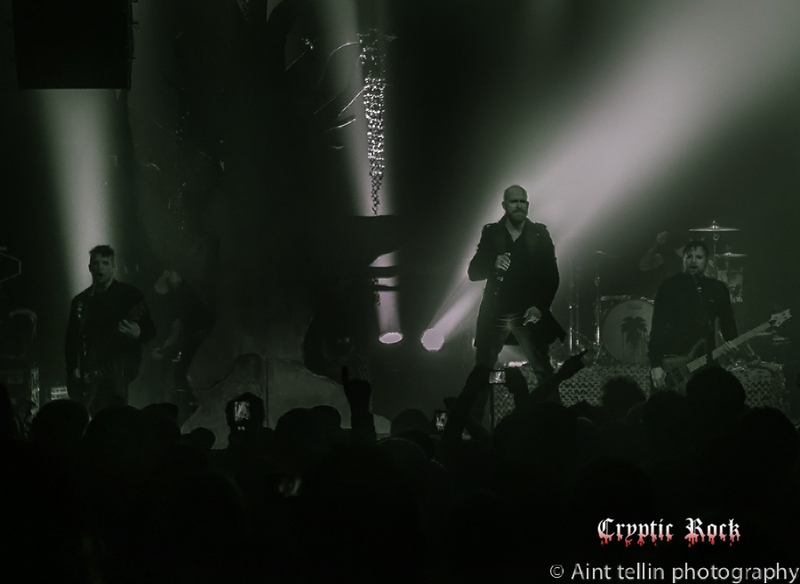 CrypticRock.com – Some of the key aspects of the band’s music has always been your distinctive voice, the signature guitar sound, and use of orchestra elements. How important was it for the band to create this unique sound among other respected bands in the Hard Rock scene? 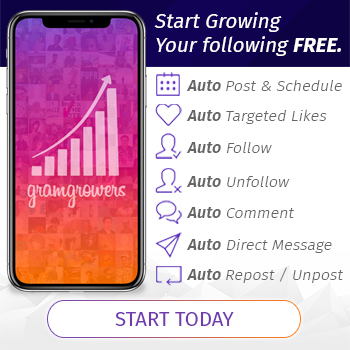 Michael Barnes – You know, we never went out and said, “This is what we want.” It all just kind of happened over a couple of years of trying to create what we love and are passionate about. I grew up classically trained through elementary school and high school. I have two older brothers, and all that was ever playing in the house was Classical music. With Classical Music, you can feel the emotion. It is not a formula. With Classical Music, there is no verse, chorus, verse, bridge. That type of music takes you on an emotional roller coaster. Obviously, as I was growing up there were a lot of Rock bands from back in the ’90s with their angst-like sound. That would also drive the rest of what Red’s sound formed into when we started to shape the sound back in 2003. I love passionate music. I want music to speak to people. I call it Red therapy. People have gone through struggles or issues where the songs reach into their soul and helps them out of some situation that they maybe in. I definitely want it to be a positive experience that reaches down into the pits someone may be in, pull them out, and provide a real redemptive feeling for them. 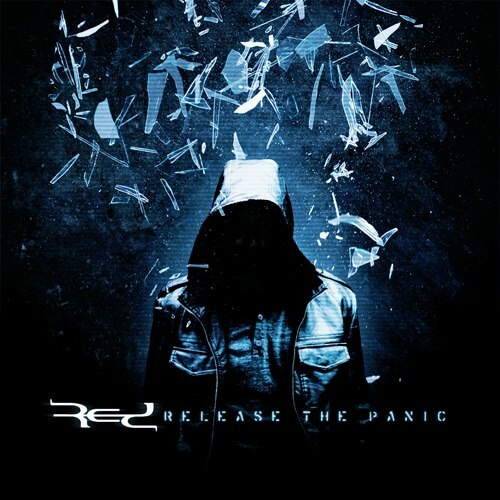 CrypticRock.com – Red has often been called a Christian Rock band, and the band does not shy away from the label. Michael Barnes- You are exactly right. People like to put labels on things. Obviously, we are Christians in a band, but if people feel more comfortable and say that we are a Christian band, we do not to shy away from that. Ultimately our goal is to to reach everybody. We used a humanistic outlook. 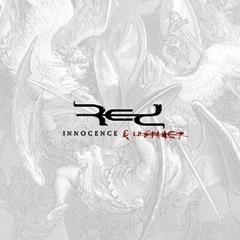 Albums like Of Beauty and Rage, 2009’s Innocence & Instinct, and 2006’s End of Silence are all about the human aspects of good, evil, and those forces that we deal with as humans. We have this common ground together. My dad is a pastor, and when I was seven years old, I gave my life to the Lord. That was a long time ago. I have grown since then and learned a lot of different things about my faith. Obviously, if someone is willing to ask, then I am willing to share what my faith is. I am not trying to slam it down anyone’s throat, but I want people to become interested in my faith because of the positivity that I am giving out., and because of the person that I am. 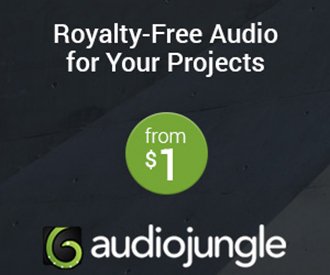 CrypticRock.com – As you stated, people like labels. Do you ever find that perhaps some fans in the Hard Rock genre possibly shun the band because of the label? There are many that may look at a label, and decided based on that label, they are not going to listen to a band, which is absolutely absurd and closed-minded. Michael Barnes – You are right. I think it is because when Christian Rock was first coming about they were still new to Rock music. The bands were trying to figure it out and they were kind of playing it safe. We came out guns blazing. We are not the kind of band that plays it safe. We are pushing the boundaries and the limits of the Christian industry, as far as what we are saying. End of Silence was all about ending your silence about the issues and the things that you struggle with as a human. In the faith based world, it is based on worship and it is always “happy, happy, happy,” but somebody maybe in the aisle of the church that is really dealing with something. They may not have an avenue to reach out to talk to somebody about what they are dealing with. CrypticRock.com – That is what is great about Red. The band offers that to a younger generation who are looking for that outlet. Inevitably, the band’s music has a positive message. It is about the struggles we all face as human beings, or emotions, and how we deal with things. That is what matters most, right? Michael Barnes – Oh, absolutely. On 2013’s Release the Panic, we wrote one of my favorite songs, called “Same Disease.” It is saying we are all sick souls with the same disease. We are all on the same boat and we all deal with the same issues, so why not talk about it and why not get it out? We are so afraid and so quick to try to run and hide, myself included, I have had years of running and hiding from things. I think it is a natural human reaction when someone is looking into the deepest, darkest part of your soul. CrypticRock.com – As you mentioned, Red does not shy away from particular topics, which is quite commendable. For example, a song like “Feed The Machine” really looks at society from within and it has a great message, provoking people to think. Michael Barnes – Ultimately that is what we are all about. Like you said, the music talks about society and identity. We never pinpoint what a song is about because we want to leave it open ended. We do this because we want it to effect people at whatever point they are in their life at that time. When they hear the song again later, they might see it differently. 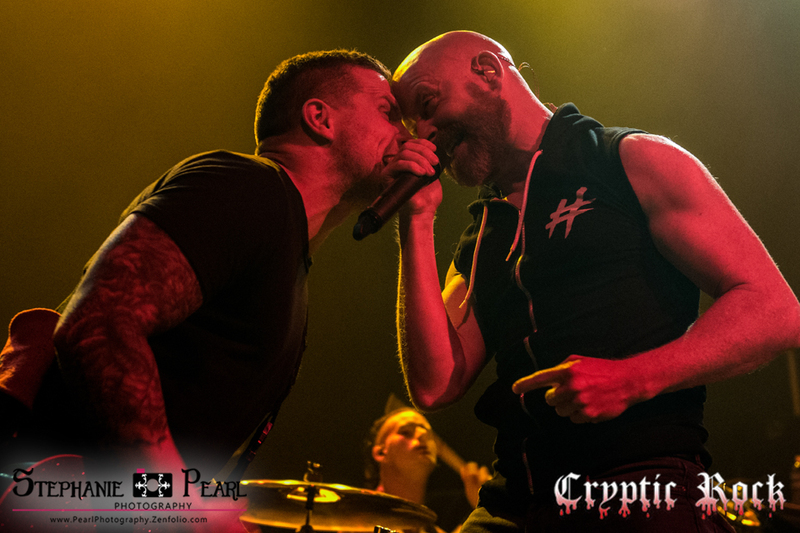 CrypticRock.com – The band’s fifth studio album, Of Beauty and Rage, was recently released on February 24th. What was the writing and recording process like for this album? Michael Barnes – This time it was actually really different. When we finished Release The Panic and started thinking about the fifth record, we thought, “What can we learn about the last record that we want to do differently this time?” Then we started having talks with our producer, Rob Graves, and we flew out to his ski lodge in Maine. When we went up there, it was forty degrees below and a massive snow storm came. We went to go skiing, but we were pretty much stuck in the lodge. So we were stuck with each other, inside, talking about the record. It was actually kind of a good thing, in a way. We had about three or four demos that were in their beginning stages, and a lot of what we did that weekend was basic talk about the record. We spoke about topics such as – what do we want to do, what drives us as a writer or as a singer passionately, and what does a Red fan love? We always include our fans, thinking about what would they love and would want, along with what we want and are passionate about as well. A lot of things that came up when we were talking were the visuals. When we went on tour overseas in Europe in the fall of 2013, we had this crimson forest that came to mind when we were over there. From those visuals of this forest of tall black trees with red leaves – that was somewhere in the Sweden area – this storyline just started to appear. We thought, “What if these creature were chasing you? What would that mean? What is the symbolism of that?” These big, massive creatures started coming to my mind. So a lot of the songs and a lot of the motivation and inspiration came from a lot of the visuals and the storyline that we tried to build. Not that this record is a concept record, but the inspiration and motivation came from that. It gave us a drive to the very end. CrypticRock.com – That is actually very interesting. People will be interested to hear that. It is compelling and makes you want to dig in to the tracks more. Michael Barnes –Yes, it gives you this story to dig into. We also have a graphic novel that builds the story a little bit more in depth. There is a huge cliffhanger at the end of the recently released music video for “Darkest Part” that I am really excited for people to see. CrypticRock.com – Speaking of videos, Red has always stood by these really great productions for their music videos. Looking back at videos such as “Breathe into Me” and “Feed the Machine,” it is clear that the band creates epic visuals. Are the visuals very important to the band as well? Michael Barnes – Oh yeah, absolutely. I think that that is something that people can kind of sink their teeth into a little bit more, when they have a story that is almost like a legend. These are things that people can talk about, and the music jumps out a little bit more off the page per se. It helps the project to live longer and to have those visuals gives you a whole other sense of what we are going for. CrypticRock.com – It is nice to have something visual to go along with the music. 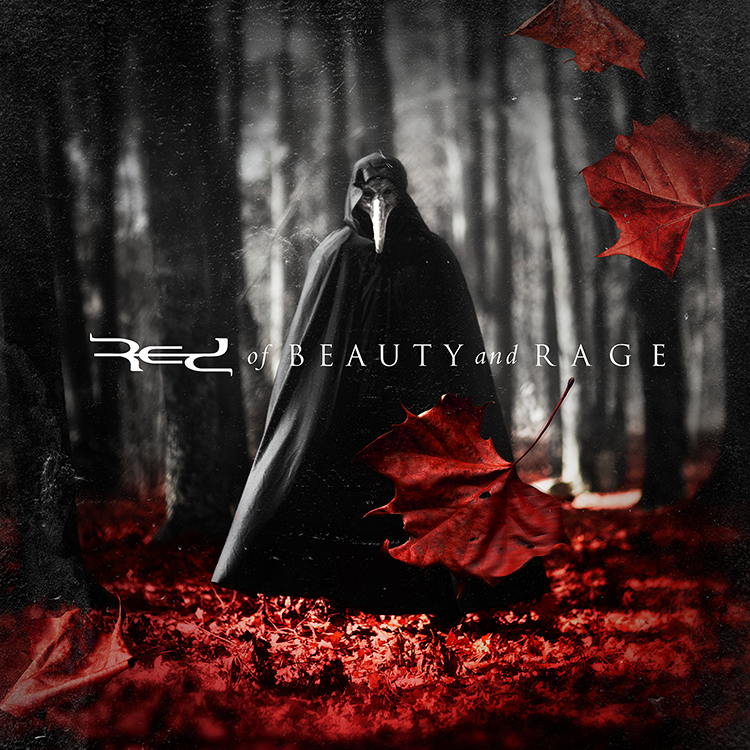 Of Beauty and Rage certainly displays the signature Red sound, but also has some progression as well. Your voice seems to be even more diverse than ever on many tracks. Did you approach the singing differently this time around? Michael Barnes – Absolutely. That is one of the things that we also talked about when we are discussing what we and Red fans are passionate about. We took what a Red fan is and what we are passionate about to the nth degree. If there was one part that was sad, then we went sadder, if one part was triumphant, then we went more triumphant. We tried to take emotion and go the farthest we could, while using different aspects of my voice. For example, there is one part toward the end of “Shadow and Soul” where I use a falsetto voice. I think, since we had been working on the record for so long, it just morphed in. I like to try new things and build as a singer. I like to think I am building my repertoire of different colors and shades of crayons I have in my crayon box to paint a picture. 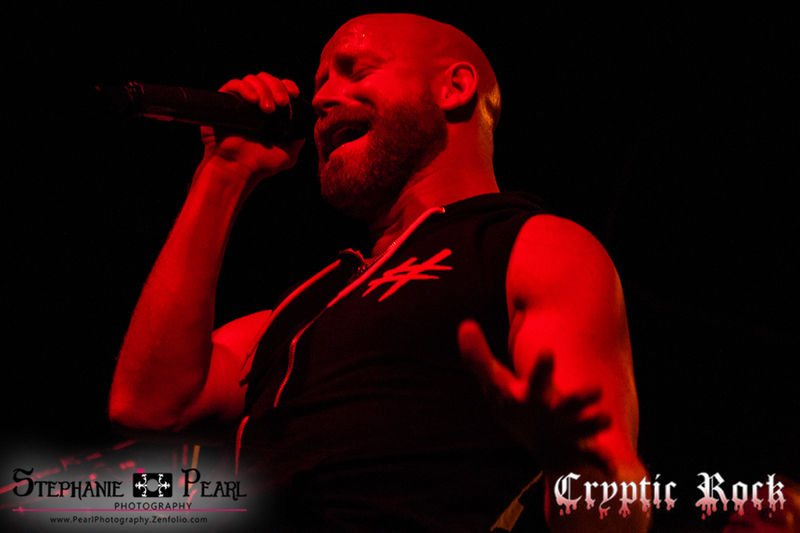 CrypticRock.com – In support of the record, Red is on the road with Islander and 3 Years Hollow. How excited are you to be out there and performing these new tracks for fans? Michael Barnes – I can speak for the whole band, leading up to this tour, we were on the edge of our seats. We had a few tours late last year that we cancelled because we had to work on this record. We had to finish this record because it was such a massive undertaking for us – fifteen tracks is just huge. As stated, we were trying to outdo ourselves. We felt that once the record was finished and we could not wait to get out there and finally deliver the product. We were so excited to get out there and start singing the songs that we had been living with for more than a year. CrypticRock.com – One can imagine after working so hard on new material, it has to be exciting to get out there and perform it for people. You have built these tracks and you know what they feel like because you wrote them together, now you want to bring it to everyone else. Michael Barnes – Absolutely. I could not be more than happy with the other bands on the bill, too. It is a great package. It is just high intensity Rock. I really feel like it is a positive thing that the other two bands are on the same page as us, as far as putting on a good live show. There is a good camaraderie on this tour, which is very important when you are away from your families for so long. CrypticRock.com – Speaking of touring, one thing that many fans may have always pondered is why Red has not been featured on one of these big Hard Rock festivals, such as the Uproar Festival. The band most certainly deserves it. Why do you think this has not happened yet? CrypticRock.com – You had mentioned a little bit about your musical influences between the Classical and the ’90s Grunge Rock. Tell us a little more about your musical influences. Michael Barnes – When we first moved to Nashville, when we were trying to shape sound, some of the bands that jumped out to my mind were Linkin Park, Sevendust, and Chevelle. They had some really big records right around 2001 and 2002. 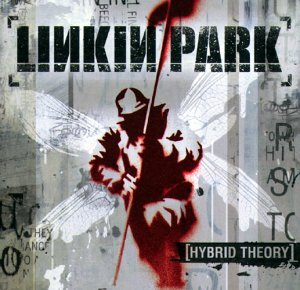 Linkin Park’s 2001 album, Hybrid Theory, and 2002’s Reanimation were emotionally driven. Then Sevendust’s Animosity (2001) and Seasons (2003). 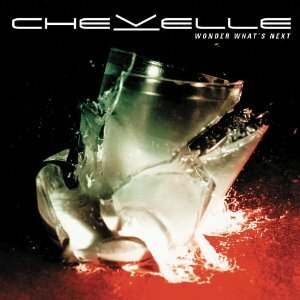 Then Chevelle’s 2002 Wonder What’s Next… that whole album is not verse/chorus, it is not formulated music, it is just emotionally driven. That was definitely a huge inspiration for us when we started writing. We just went angst-like, emotional, and some of the classical stuff I grew up with leaked its way in. When you hear violins, it almost feels like an epic movie trailer. It just kind of grew from there. CrypticRock.com – My last question for you is pertaining to movies. CrypticRock.com covers music and Horror films. If you are a fan of Horror films what are some of your favorites? Michael Barnes – (Laughing) I definitely like horror movies. When we were stuck in Maine in forty degrees below temperatures, we watched many horror films. (laughs) We were feeling like something could just smash through the windows and we were bared to be slaughtered. It was scary because late at night we had the fire going and we were in a ski lodge, so all that was around was just trees. 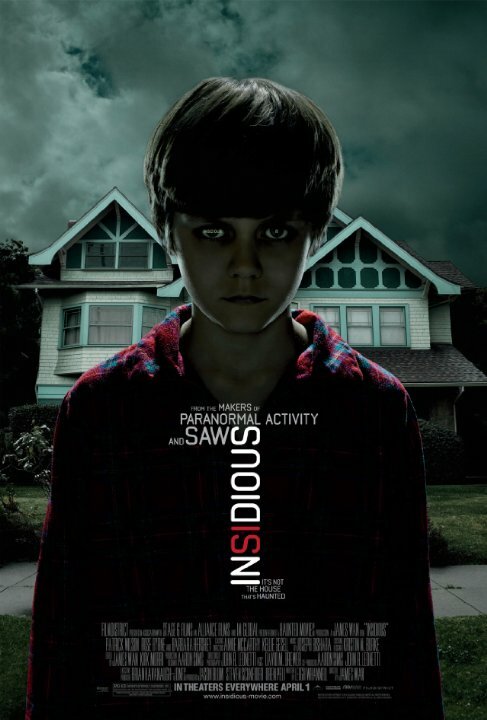 We were watching movies like Insidious (2010) and Sinister (2012). 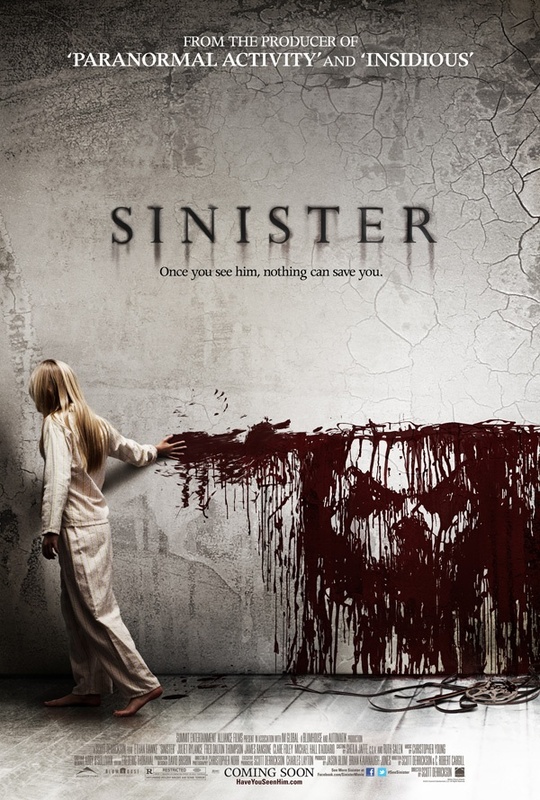 I couldn’t make it through Sinister that night. (laughs) I finished it later, but it was creepy because it was almost realistic. 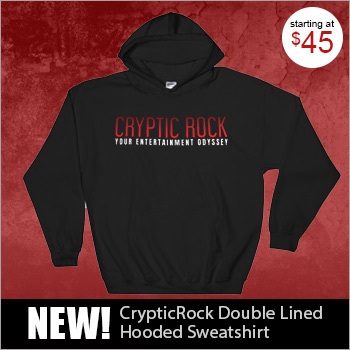 CrypticRock.com – It is amazing how a Horror film is most effective wherever you are in watching it. If you were watching it at home on a bright sunny day, it may have not been as effective. CrypticRock.com – (laughs) Films like The Exorcist (1973) and The Shining (1980) play on that time of atmosphere as well. Michael Barnes – Of course. I mean The Exorcist really happened, and The Shining was a great book from Stephen King as well. It is just an amazing piece of work.